to the strong motivation of all our employees. are monitored and improved on a daily basis. 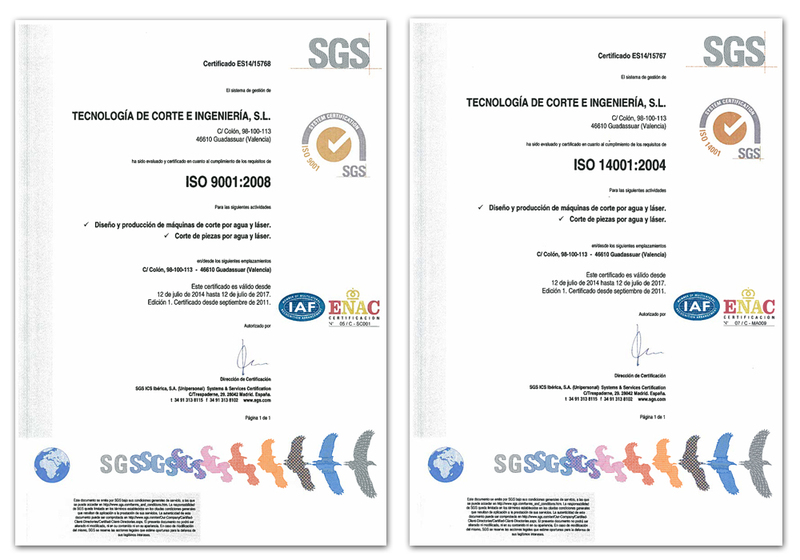 Our philosophy in TCI Cutting is based on total quality and is reflected in the award to us of the certificate of quality ISO 9001. This ruling acts as the main guideline for the corporate development of TCI Cutting and implies continuous improvement in the organisational aspects of the company, based on those principles which most positively influence the final quality of our products, to the complete satisfaction of our customers. For TCI Cutting, quality is signified by our totally satisfied customers whose expectations have all been met. Our standards of quality are based on maximum attention to each and every detail and to the strong motivation of all our employees. In order to achieve all this, all our products, operations and activities are monitored and improved on a daily basis.